If you have a garden and are thinking about growing carrots I highly suggest you do so, but don't just grow plain old boring orange carrots. There are a host of interesting carrots you can grow that will fascinate and intrigue people. The wonderful thing about gardening is you get to have fun with what you grow, experiment with plants, find the seeds for vegetables you normally can't find in the grocery store and run with it. Carrots are extremely easy to grow vegetables. Orange carrots have not always been the norm. 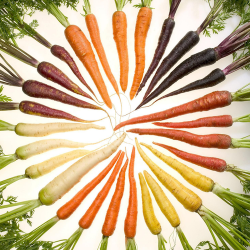 Red, yellow, purple, and white carrots were more common through most of history. Believe it or not the modern orange carrot was once a fashionable statement of national pride for the Dutch. Apparently in the 17th century the dutch began breeding and exporting the orange carrots as a symbol of Dutch supremacy, since orange was a national colour. The novelty factor of the orange carrot caused it to explode throughout Europe and eventually all other carrot colours began to fade in popularity. The fact that carrots are such easy to grow vegetables, and that they can store for a long time meant that they were always a popular option for farmers. The popularity of the carrot is easy to understand, the extreme popularity of the orange carrot is not quite so easy to grasp. I find it strange that a novelty item such as the orange carrot took off to such heights that it squashed all other varieties into obscurity. Little Finger may be a main character of dubious morals on The Game of Thrones, but these cute little carrots aren't any good with accounting, and will be a welcome addition to any veggie tray. Short and stubby carrots make them great for slicing and getting nice even sized rounds. This works great for boiled carrots or for sliced raw with dip. Rainbow Seeds 200+"Atlas" Round F1 Carrot Seeds~ Cute Baby Carrots! These carrots mature into a spherical shape instead of the standard conical shape we are used to. Perfect for boiled carrots, just wash them off then boil them and you are done. 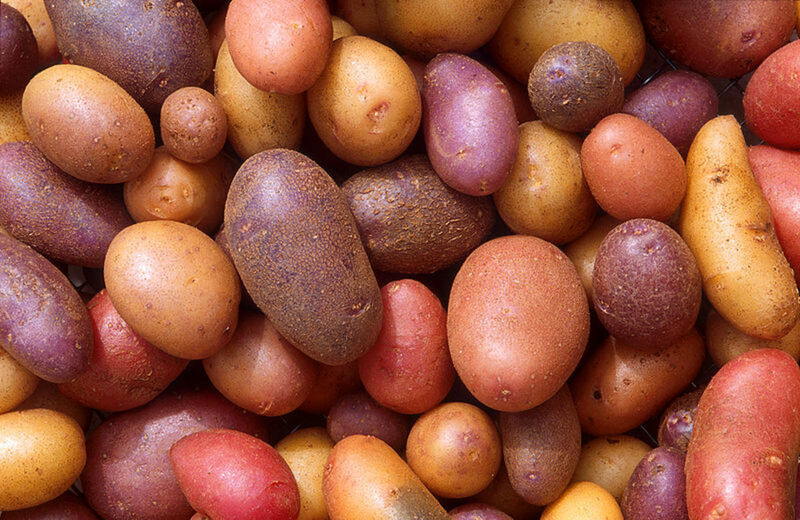 Baked with new potatoes they make a wonderfully colourful dish with lots of character. simply mix in a generous amount of Atlas Round carrots and new potatoes bake until potatoes are tender then top with butter. A nice striking red carrot. Best cooked rather than raw. Cooking these carrots strengthens the red colour. Raw these leave a lot to be desired for flavour, but once you cook them the flavour is really drawn out, as is the colour. You'll be surprised by how much the colour intensifies after cooking. Bright red carrots are sure to bring attention to any dinner plate. 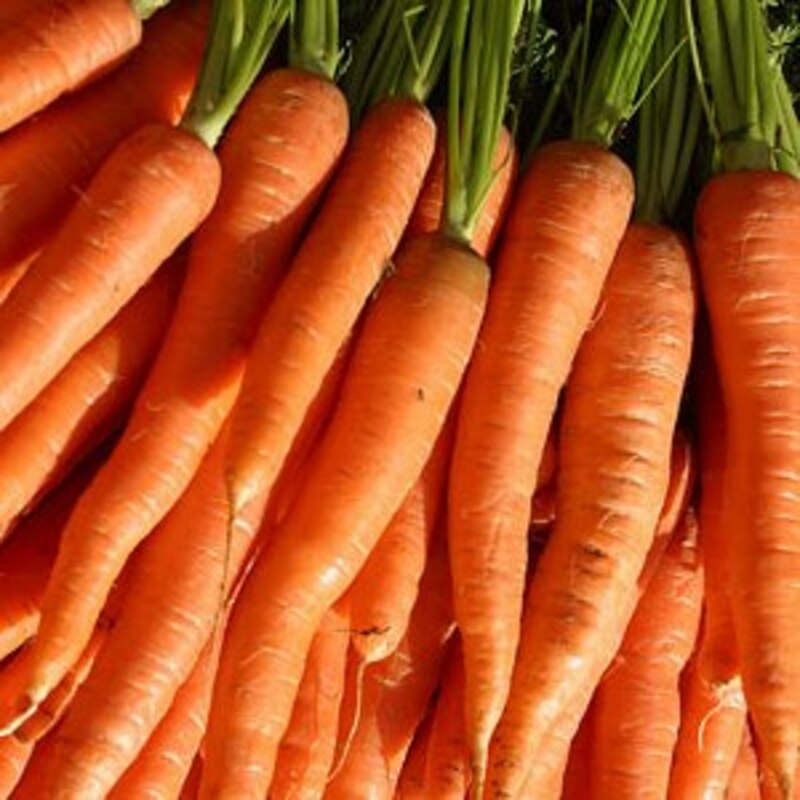 As the name implies these carrots are high in nutrients and antioxidants. Like its other red cousin this carrot is high in antioxidants and the red colour intensifies when cooked. This carrot does have a nice raw flavour that is much nicer than the Nutri Red, but like the Nutri Red its flavour intensifies after cooking. These are an interesting looking carrot. They are purple on the outside with a few orange streaks, the core of the carrot is solid orange. When I talk about my purple haze carrots at work I always hear jokes about Jimmy Hendrix and a certain recreational illicit substance. Much of the brilliant colour leeches out of the carrot and into whatever you are cooking when they are cooked. Raw they are stunning. Purple haze too orange for your taste? These purple dragon carrots are the carrots for you. These are purple all the way through. The colour will leech out into anything that touches them while they are cooking, but they still maintain an amazing purple colour even cooked. I haven't tried it myself, but I would imagine these would make magnificent pickled carrots. Purple Dragon still to boring, try the Black Knight. This unique carrot is a very dark purple verging on black, thus the name black knight. The core of these carrots is white, so the contrast really stands out. Like most multi coloured vegetables the colour does tend to run together when cooked, however the core will remain considerably paler than the rest of the carrot making it an interesting addition to the dinner plate. White is the new orange. These carrots will send your mind on a trip. You'll look at them and think parsnip, but bite in and they are unmistakably carrots. These solid white carrots are nice and sweet. They look great in a salad or as boiled carrots. More of an ivory colour than the solid white of the Lunar, but still a beautiful carrot. These are bright yellow carrots that would stand out in any salad or veggie mix. Rainbow of Carrots Pack - Why decide? Don't have a lot of room to grow so many different types of carrots, can't choose which carrot you'd like to grow, why not just get a mix pack and lay that down. The really fun thing about this pack is you won't know what type of carrot you'll end up with until it comes out of the earth, and each time you pick one it will be a surprise. Exact planting times will depend on your area, but most zones are safe to plant in late May to be harvested in August. In Ontario where I live May 2-4 weekend is a holiday known as Victoria Day, this is the common start of gardening season and a great time to plant your carrots. I had no idea of the variety of carrots, CuAllaidh. This is very informative. I think I may have seen the White Satin in grocery stores. I love carrots and will have to stretch my taste and try some of these exotic-looking carrots. Voted up, useful, and interesting. How cool is that! I shared your lens on our G+ page today! We had great fun planting rainbow carrots last year. My kids love picking them because they never know what color they are going to get. Like. I'm inspired to plant carrots, and not just the orange variety. Thanks for the info! 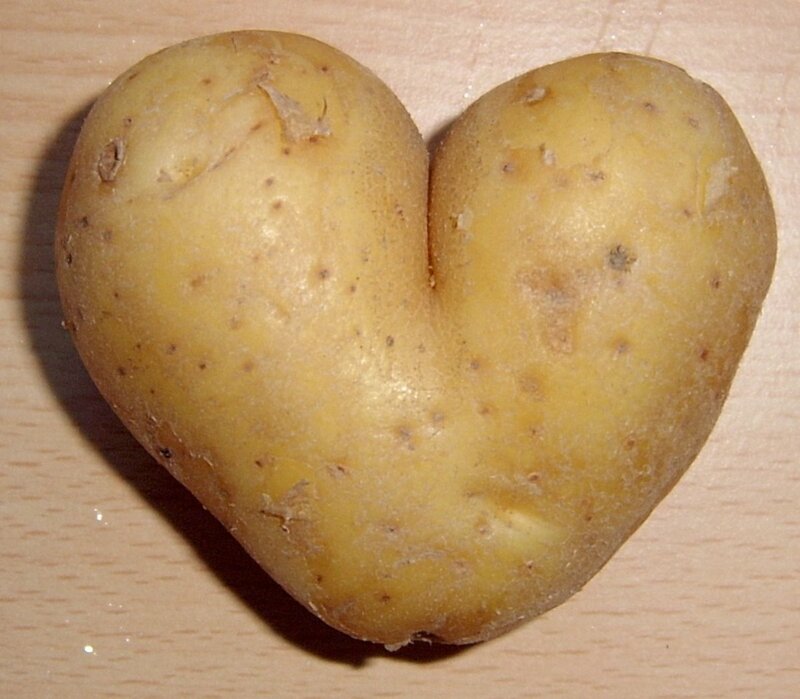 @CoeGurl: oh yes I heartily recommend getting some, they are fun to grow and great tasting. I had no idea that such a wide variety of carrots was available! I love the mellow yellow the best. Yet to come across it, though. You definitely have me thinking about planting some of these exotic varieties, even though I don't have much of a green thumb, and to think I only knew about the ordinary orange carrots before! Good god, man. I had no idea. I love the purple carrots. Crazy, and I believe I will try to plant some this year. Awesome. Thanks for the ideas. Excellent idea for a lens that turned into a great job! Awesome. I had no idea there were so many different kinds of carrots. @Countryluthier: the purple haze carrot is spectacular. Never knew there was a purple haze carrot! Nicely done MM. I want to try purple carrots! I bet my kids would love those, too. This is amazing. Thanks for the information about the different kinds of carrots. Totally amazing! When I lived in Taiwan, white carrots were everywhere. But I have to say those purple carrots are stunning. When I finally have time to start a garden, rainbow carrots will certainly be going in. 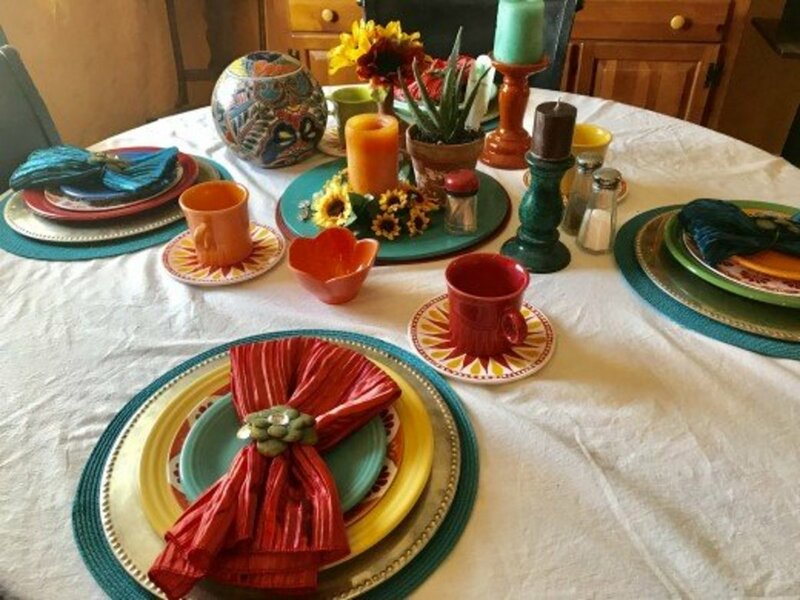 Imagine the salads and stews you can make. Thanks! I love using colorful carrots to make a carrot cake. Adds a different look to it. I am only familiar with the common orange carrot. Now, I know that there are a lot of other carrot variety out there. 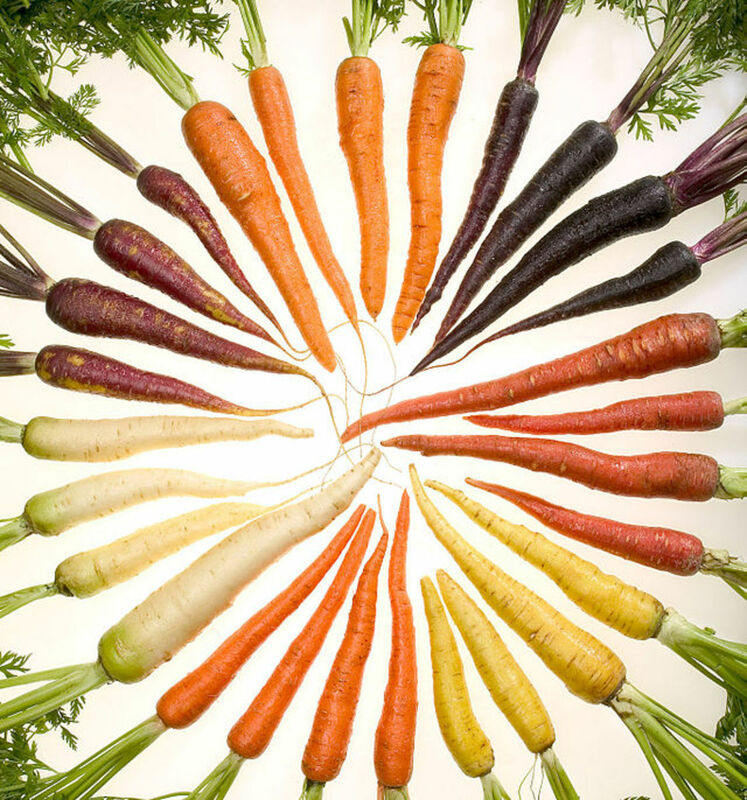 I never knew there were so many different colored carrots. I didn't know there were that many kinds of carrots. Great lens! @Ardyn25: I know, I didn't know at first either, and this lens barely scrapes the surface of the number of carrot varieties available out there. What a great lens! I wonder what the different nutrients of these carrots have! Cool! I've got to try some of those Black Knights! Wow. I thought they were all orange. Wow I'm a country girl and I had no idea the history behind carrots. You really provided me with some very interesting garden trivia this morning. Great subject. I never knew the history of the orange carrot. It is funny how things that once were used as "statements" become the norm. Neve knew there were so many colors! @AndriyR LM: I love the fact that orange carrots were simply a political novelty when they were first grown but now somehow have become the face of carrots. I'm going to try these out! Wish me luck! I will tell you which ones taste best. Great lens, very interesting. Pinned to my board: How does your Garden grow. Angel Blessed! I don't plan to grow carrots, but enjoy getting them from the nearby organic farm. Great lens! Wow, what a variety! I always thought there is only orange. Gotta try to add some color with all those different carrots! Great Lens! Thank You! @mariaamoroso: I live in an apartment, no balcony even, my garden is a community garden plot rented by my city. You should think about checking with your city to see if they have such a program there as well. I used to plant dragon carrots all the time and always got great comments on them! I really wish I had a garden. These carrots are a blessing for the eye! I have seen only 3 colors of carot - purple, red and orange... yellow color is surprising for me, will definitely try to locate next time. You covered the subject very thoroughly, who knew there were so many different colors and kinds of carrots. Excellent lens. All those look so yummy! @VladimirCat: All carrots are high in vitamin A which is essential for good vision. So, in short that is partially true :D. That being said eating a bunch of carrots won't give you better vision immediately, it will more likely just help you protect your vision from deteriorating overtime. I've heard that eating carrots, of any colour, will help you to see in the dark. Could this be true? Wow, rainbow indeed. So many carrotsâ¦ Thanks for info. @bensen32 lm: I barely scratched the surface with this listing really. There are many many more types. The monoculture that we see now really does not do justice to the carrot. @Gala98: on some the colour fades with cooking, but ya they are fun. The Purple Haze looses most of its purple colour when cooking them. 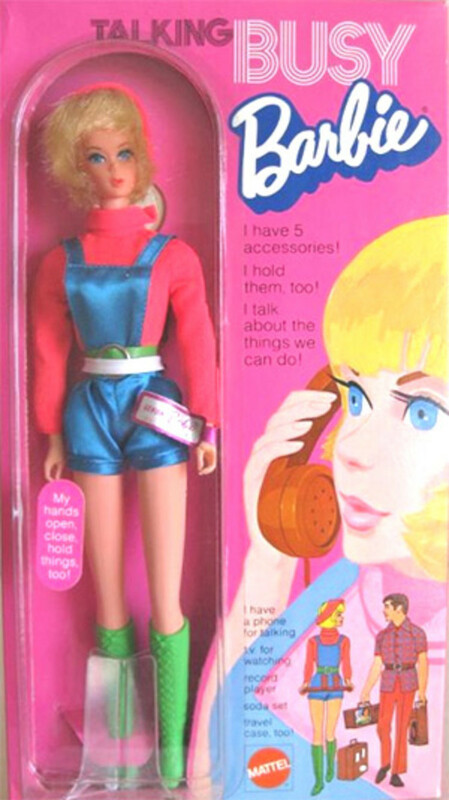 As for kids, my daughter thought they were real neat. I love the rainbow selection! that would be so much fun when you pop out to pick some to cook &amp; then get multicoloured ones on your plate! I bet the kids would love those veggies then! A rainbow indeed! I have a wonderful farmer's market about a mile away, and that is where I reap my carrots. Wow I never knew there were so many carrots! wow you learn something everyday...I knew orange like everyone else and see a purple and white before but I didn't know there was more than 1 kind of purple and I never seen a yellow before. I only knew of the boring orange carrots! I didn't realize there was so many different kinds! Nice lens! Never knew there were so many differently colored carrots.